Welcome to the April 2018 edition of IMAgine, the monthly e-news of the Islamic Museum of Australia (IMA) Education Program. IMA is pleased to welcome an exciting new year with schools. A new IMA record set in March 2018! We set a new record of 600 students visiting IMA in one week in March 2018. Thank you to all the schools that visited us in Term 1 and to all our staff and volunteers for making this a reality. Book Your Packages Now - Introducing our Ramadan Package! Ramadan is about to begin in just a few weeks, and IMA has partnered with Commonwealth Bank to offer a Ramadan Package for schools. CommBank Financial Literacy Workshop, focusing on the concept of saving, needs and wants, savings goals, or earning an income, depending on age group. IMA workshop, focusing on cooking sustainably on a budget (no cooking will take place during Ramadan). All accompanying teachers will receive a professional learning certificate aligned to the Australian Professional Standards for Teachers. Cost: $10 per student to cover the IMA workshop and tour. CommBank’s Financial Literacy Workshop is complimentary. Our Primary Package offers stimulating activities for primary students, incorporated into a dynamic guided tour of the museum. It is suitable for all primary levels. The Primary Package includes: a short presentation and intercultural icebreaker activities, a quiz based on IMA gallery content, games in the five permanent IMA galleries, including Prophetic Snap, Word Unscramble, Cultural Dress-Ups, Story Time, and Multilingual Sing Along, a reflective art activity, with the option of an additional geometric art workshop, Q&A and closing debrief. 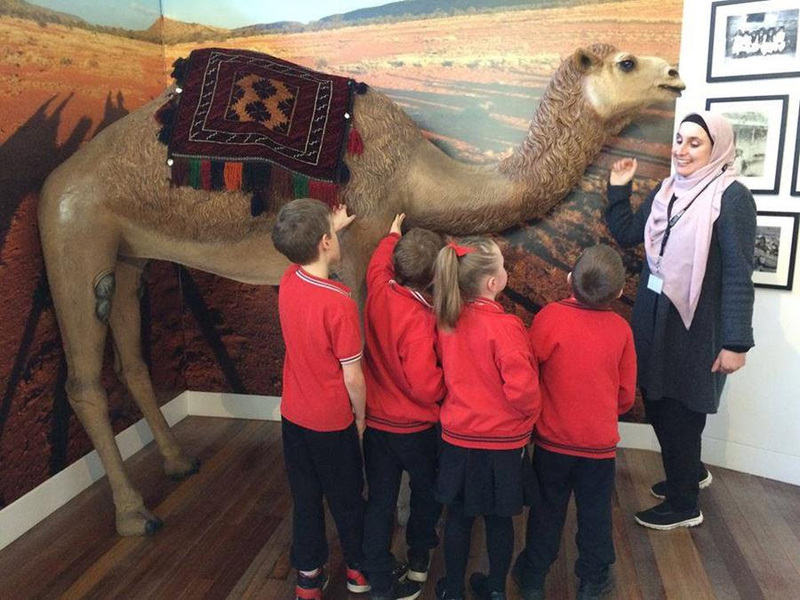 Our Primary Package is only one of several curriculum-aligned standard packages we offer schools (https://islamicmuseum.org.au/education/education-packages). All standard packages include a presentation, tour, and activities. Delivery time for all packages is 2 hours (add 45 minutes for an additional arts workshop). These timings exclude any breaks required by a school. Mothers, sisters, daughters, teachers, friends, homemakers, doctors, businesswomen, grandmothers, humans — warriors. 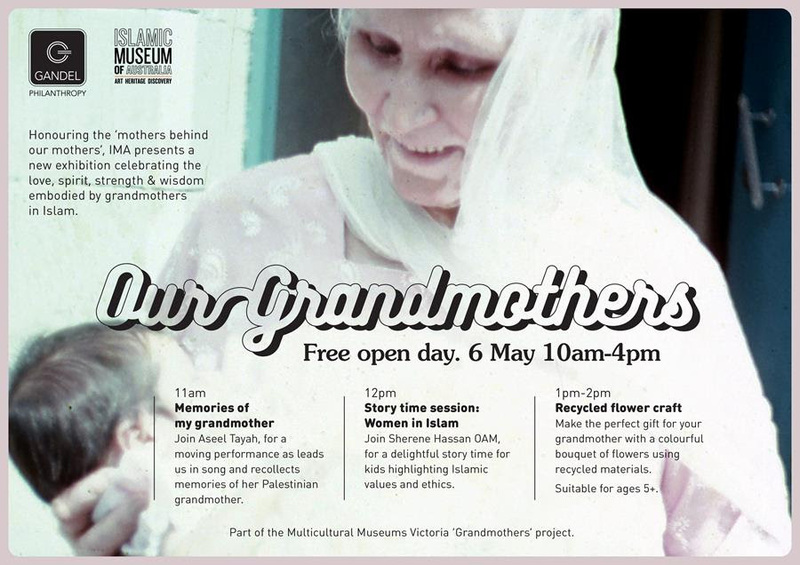 Honouring the ‘mothers behind our mothers’, Islamic Museum’s Our Grandmothers exhibition pays deference to the essence of Muslim grandmothers by displaying portraits sourced from Melbourne’s Muslim communities, accompanied by stories, quotes and video recipes. Visitors are invited to celebrate the love, spirit, strength and wisdom embodied by Muslim grandmothers, and their role within Islam. On Sunday May 6 we will be hosting a FREE open day at IMA with a range of exciting activities open to the public. To launch the exhibition, Aseel will be performing a series of songs of reminiscence, leading us on an evocative journey tracing memories of her Palestinian grandmother. Make your own colourful bouquet of flowers using recycled materials to brighten your day. This workshop is suitable for ages 5+ and all materials are provided. 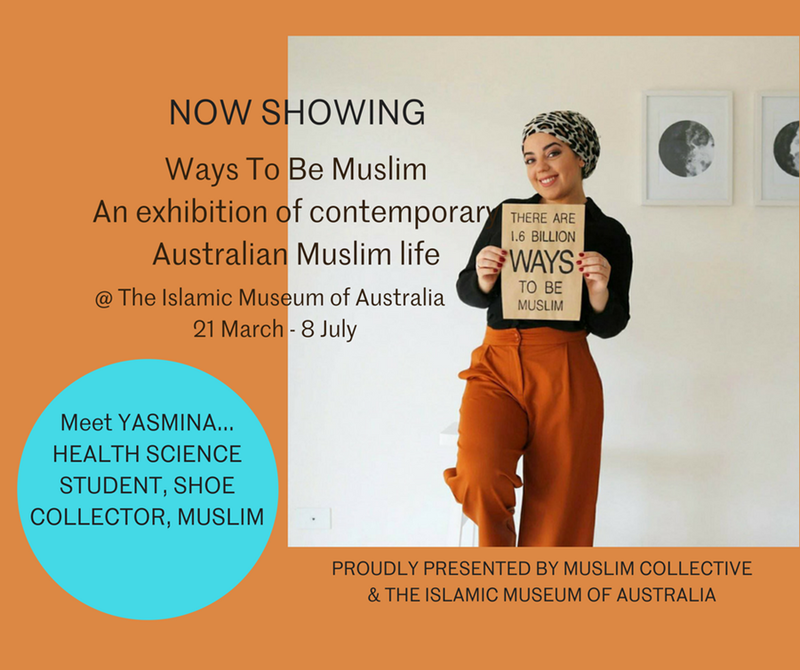 An exhibition of contemporary Muslim life. With the growing public debate on the status of Muslims in the west, Peter Drew’s street art campaign 1.6 Billion Ways To Be Muslim playfully challenged that conversation with his unique hand printed posters. Ways To Be Muslim reinvents this campaign through the photography and videography of six young Australian Muslims as they set out to discover just how many ways there are. This topical exhibition and exciting public program shares the lives of every day Australian Muslims. Join Sherene Hassan OAM, Education Director - Islamic Museum of Australia, Reem Sweid (project manager and PhD candidate at Deakin University) and Nur Shkembi (exhibition curator and PhD Candidate at the University of Melbourne) for a professional development seminar exploring contemporary Islam in Australia. This seminar includes a fully guided tour and curator floor talk. Suitable for primary, secondary and tertiary level teachers, or service delivery professionals working with Muslim communities. Hosted in partnership with Muslim Collective and the Victorian State Government. Our IMA Education Portal is almost live. Stay tuned for a separate announcement about this exciting resource for schools! Copyright © 2018 Islamic Museum of Australia. All rights reserved.